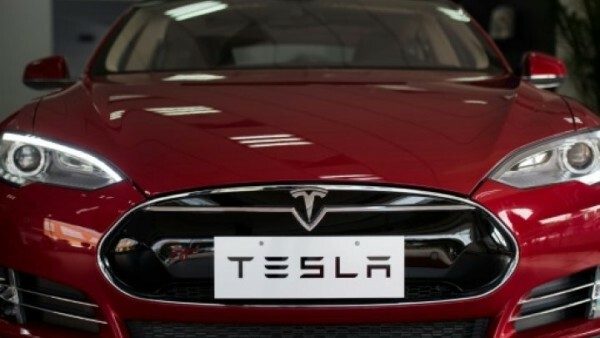 Self-driving Teslas will be able to go between Los Angeles and New York City by the end of this year, Tesla Inc. TSLA, +1.76% Chief Executive Elon Musk said Friday. Musk spoke at a TEDTalk in Vancouver on a number of topics, including the status of driverless cars and his new project, The Boring Co., which aims to create a network of tunnels that would lay the foundation for a series of underground roadways for cars. On @Tesla autonomy, @TEDchris: "How long until you can get in your car, fall asleep, and wake up at your destination?" @elonmusk: "2 years." Musk also used the TEDTalk to release an image of the coming Tesla semi-truck. A concept of the truck is expected to be unveiled in September. Meanwhile, Tesla, the only publicly traded company that Musk leads, is days away from reporting first-quarter results. The company’s shares ended Friday at a record high close of $314.07 and an all-time high intraday of $314.80. Tesla has hit a string of record highs this month ahead of its quarterly results and hopes the Model 3, the linchpin of the company’s expansion plans, is on track to sell by the end of the year.